Rubber pads that sit on top of your drums and cymbals, and cut down a lot of the volume. 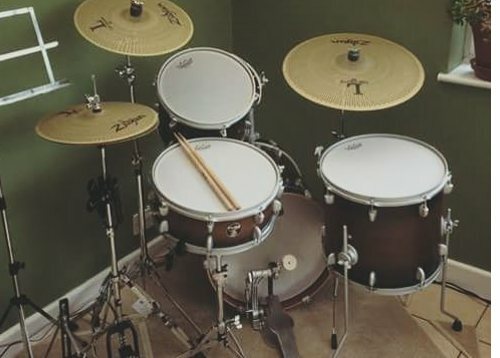 They’re easy to fit - just place them on top of your drums and you’re good to go. Our silencer pads are available in a variety of sizes to fit all kits and cymbals. 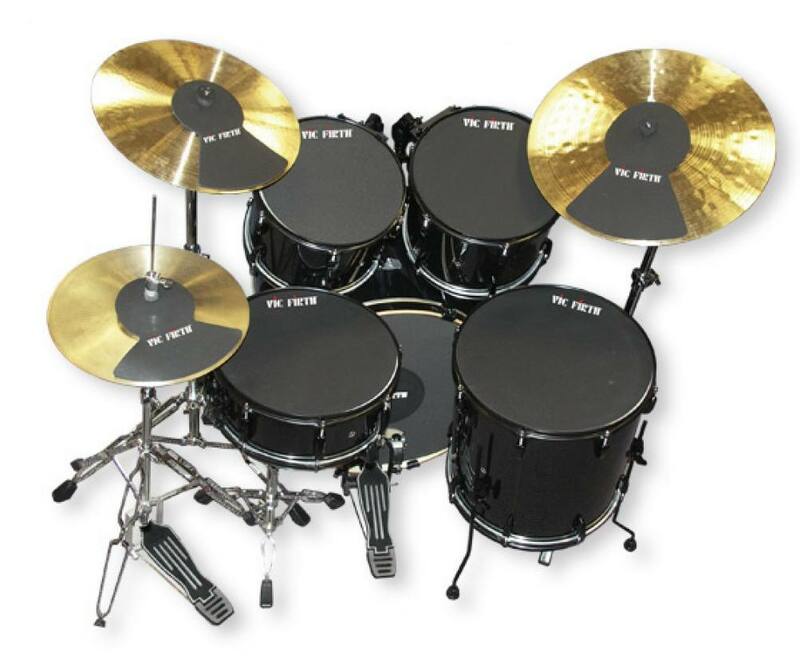 They also come in packs - we recommend the Vic Firth sets at £79.99. The mesh heads replace the conventional plastic drum heads on your kit. The mesh heads are made of a fine net (or “mesh”), a little like ladies tights. They still give some tone, and feel similar to a standard drum head. Available separately or in packs, they’re an easy way to cut your volume when practising whilst retaining some tone and feel. We recommend the Remo Silentstroke mesh heads. They are available in all sizes from 6” to 24”. The mesh heads are great for snares, toms and bass drums but you’ll still need a way of lowering your cymbal volume. The Zildjian L80 range are perfect for this job. 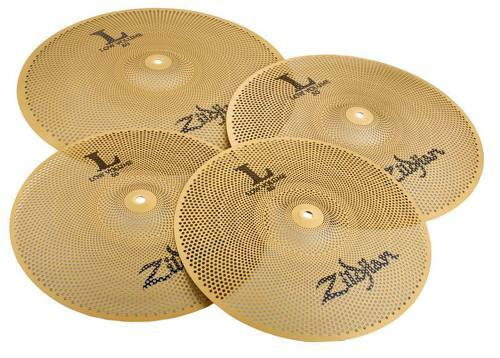 They are normal cymbals but with thousands of small holes, so you keep the feel and look of a normal cymbal but with 80% less noise. We have these set up in our showroom and customers can’t believe how quiet they are! They don’t hang around for long, so come in and try them out. Of course you could go the whole hog and do what local teacher Cath Evans did recently - she paid us a visit and bought a Dixon shell pack, Remo Silentstroke heads AND Zildjian L80 cymbals. Hey presto, a near-silent practice kit for her house! Visit us instore or call us on 01603 623563 for all your percussive requirements- we're always happy to help.